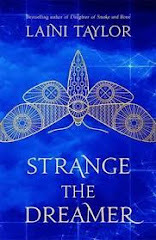 Goodreads Description: Nix has spent her entire life aboard her father’s ship, sailing across the centuries, across the world, across myth and imagination. My Review: An island paradise, A ship that can touch any shore. And a map that may lead to Nix's undoing. 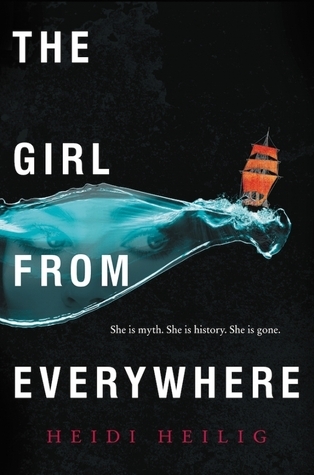 The Girl From Everywhere is that exciting bit of magic and pirates that YA has desperately needed. I love pirates, I love time travel, I love diversity-- there was nothing this story was lacking. Right from the first page this book wastes no time in driving straight into tension, conflict, and action. After years of searching, Nix's father finally catches wind of a map of Honolulu from 1868. He's searched for years so he could save her mother, and this time the map looks real. Nix's inner conflict of helping her father, even if it could ultimately erase her from existence, is bold and powerful, sucking the reader in right from the first page. The pull of loyalty she feels towards her father outweighs her fear of the unknown and they sail for Hawaii-- only to discover their map has been mis-dated, and they arrive in 1884. This tension has a perfect pacing and doesn't let up until the very last page. The cast of characters is delightfully diverse, featuring a half-Chinese main character, a French-Arabic love interest from One Thousand and One Nights, and a black lesbian crewmate, just to start. The book is #ownvoices as the author herself is Chinese and grew up in Hawaii, where much of the book takes place. As well, the book is filled with myths from all over. We see Emperor Qin's stone soldiers come to life, to Hawaiian healing springs and the Hu'akai Po, Jewish golem magic, to the bottomless bag from Welsh legend. Instead of just throwing in characters of different backgrounds or orientation, The Girl From Everywhere embraces diversity in a way all YA books should take note of. It integrates legends and myth from a variety of cultures, and even highlights the diversity in our own history (Nix's mother is Chinese and came to work in the opium dens. Many Chinese immigrants came to Hawaii during this time). The book doesn't just toe the line of diversity, but shows us how it can really enrich writing and worldbuilding. Along with killer tension and delightful characters, the book has a wonderful plot that keeps things turning and readers guessing. Since this is a time-travel book, there is a lot of paradox-correcting that goes on. It's not nearly as much as some stories, but if you're one to nit-pick over time travel paradoxes, it will still give you things to pick at. But they are minor and handled well. The writing itself is pretty straight to the point and doesn't waste a lot of time with fancy descriptions. Yet it also has its lyrical moments in terms of prose. The only real issue I had with the book came down to its final chapter. The conflict and most of the tension revolves around Nix's father wanting the map back to her mother, despite the danger it may put Nix in. This conflict starts from page one and carries a lot of the emotional weight. But in the last chapter, when Slate, Nix's father, has the map he wants, he instead decides to throw it into the ocean. He has spent years, pretty much Nix's entire time alive, searching for this map, and on the last page he 'chooses' Nix and gives up the love of his life. Granted, he and Nix became closer on this mission, but there was nothing life changing or stunning that would justify his complete 180. Everything they struggled for during the book ended up being for naught. The characters did grow together through this journey, but there was nothing about this journey that stood out as being significant or more meaningful than their any other journey. I was left with a feeling of "Why now?" It reminded me of the cliched "It was all a dream" ending, where characters learn but ultimately none of the stakes have any real effect on the story. TL;DR: 4/5 stars. A stunning pirate fantasy adventure flush with diverse folklore and faces.